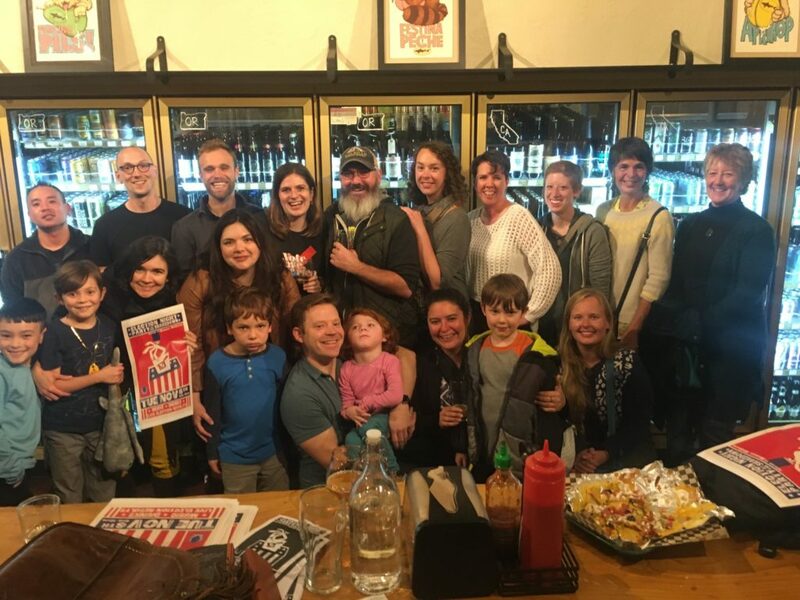 As you watch the recount for the 42nd State Senate seat, don’t attribute the historic closeness of this election to the “blue wave.” It was us: the everyday people of Whatcom and Skagit Counties who stood up, got organized, and fought for change. We didn’t oust Sen. Doug Ericksen like we intended, but we won in many other ways. As the Campaign Manager for the Riveters Collective, I saw it firsthand. 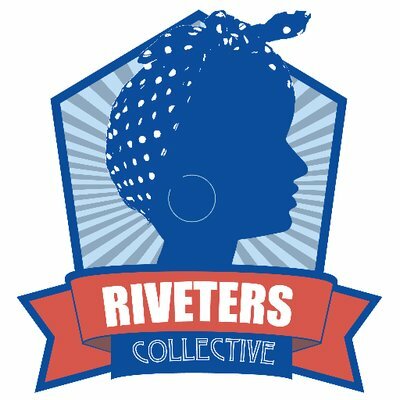 The Riveters Collective is a women-led grassroots group with over 4,000 members. Most of us are moms with full time jobs that we balance in addition to the 40+ hours a week we put into building a culture of civic engagement in our community. We were mobilized to action when our local politics ran headlong into the Trump Administration as Ericksen took a second job working for Trump’s EPA. 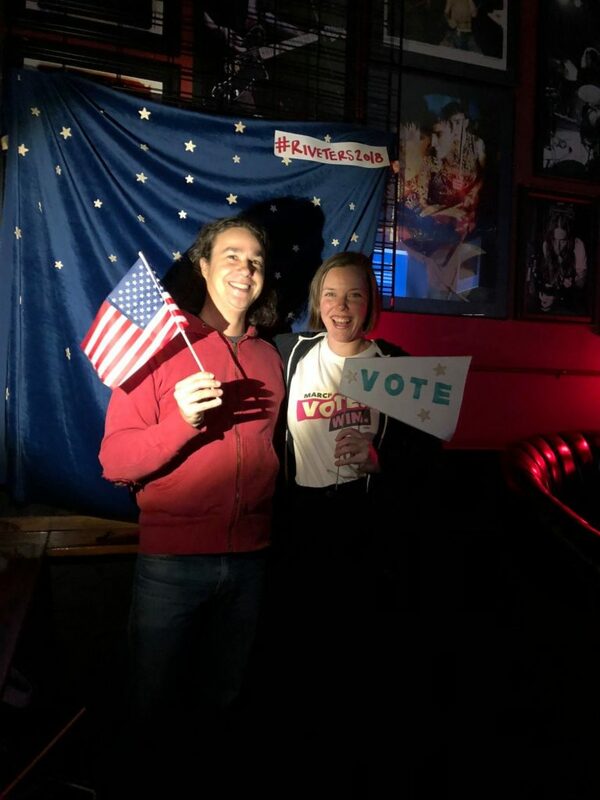 This fall, the Riveters launched an innovative voter contact program that involved the painstaking work of building relationships with over 15,000 infrequent voters and aiding them throughout the entire electoral process. Most of the voters we talked to were completely unaware there was an election happening, much less an election about the issues most affecting their lives. For example, one young man we spoke to didn’t know about the election and said he was disinclined to vote. After a conversation with our canvassers, he agreed to take the time to cast his ballot. When our reminder-to-vote postcard showed up in his mailbox a week before the election, he remembered our conversation and voted right away. We met him again at our election night party, where he showed up in person to thank us. Without us, he said, he would never have known how much of a difference one vote could make. Evan, who voted because we canvassed him. Our hard work paid off: Our data show that voters we reached were almost 2 times more likely to vote than those we didn’t. We saw dozens of volunteers step out from behind their computers and engage in the nitty-gritty of the electoral process for the first time. To us, this proves that the historic level of voter turnout in the 42nd LD wasn’t due to some intangible “blue wave,” but due to the hard work of everyday people stepping up to lead. This trend was reflected in the diversity of first-time candidates stepping up to run for office. Riveters Collective held a candidate recruitment event in May to encourage more women and people of color to run. Of the dozen attendees, half decided to compete in 2018 elections. Notably, one of them flipped a historically Republican seat in the State House: Representative-Elect Sharon Shewmake, the economist, mom, and professor who is also our new state representative in the 42nd Legislative District. 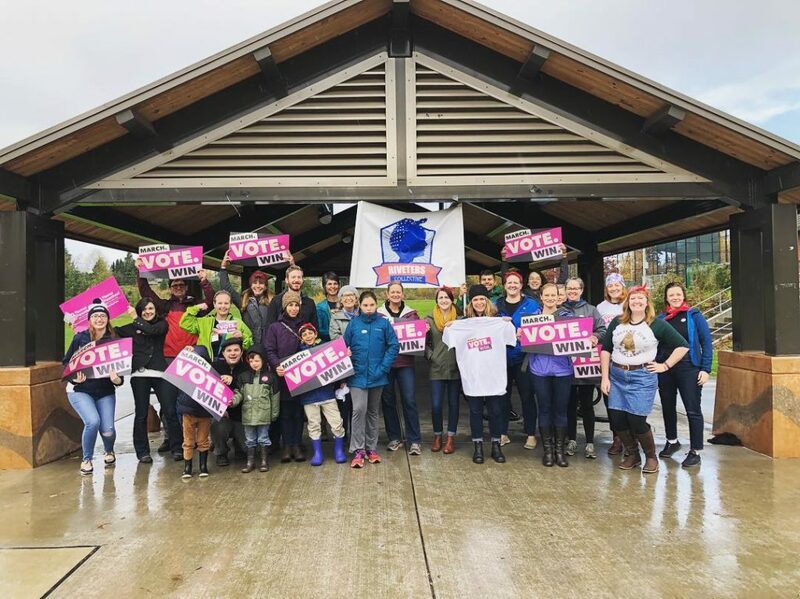 Our community’s effort wasn’t just reflected in who we sent to Olympia (a notably more diverse cohort including Debra Lekanoff, the first Native American woman elected to our state legislature), but also in what principles we supported. Our values are clear: we want progressive leadership on the issues affecting our lives. A whopping 66.8% of Bellingham voters chose to tax ourselves in order to bring more affordable housing to our city. Whatcom County voted overwhelmingly in favor of common sense gun control, as 60.2% voted for I-1639. We supported accountable policing with 58.89% voting for I-940. Bellingham voted overwhelmingly in favor of the climate change action at about 54% supporting I-1631. Ericksen is trying to spin the fact that he hung onto his seat by the skin of his teeth as some kind of victory of people power over big money in elections. He’s right, but not for the reason he thinks: it wasn’t “big money” that brought Justin Boneau within 80 votes of snatching Rep. Luanne Van Werven’s seat in Olympia. Boneau raised less than a third of the donations Van Werven received. It was voters’ thirst for genuine candidates who look and live like us and who will champion the most pressing issues. When you look back at these elections, don’t see 2018 as “a wave year.” See it as the year everyday folks decided enough was enough. See it as the year Riveters Collective and other local progressives joined forces to build lasting grassroots power. See it as the year we used that power to elect progressive champions at all levels of government. Then, when you look forward to the upcoming city and countywide elections in 2019, know that we’re just getting started.